A sincere and concentrated effort is being made by the NTSGA and contributing members to get our newsletter: "THE STEEL GUITAR RAG" back ona regular schedule. We appreciate your patience and support as we put things together. 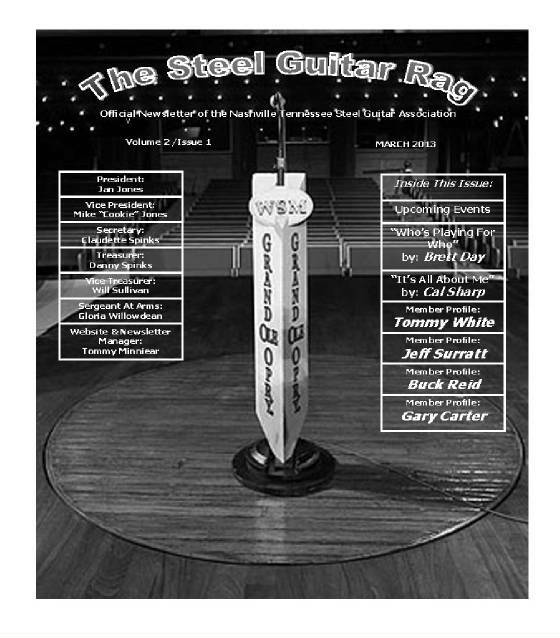 Each issue of "The Steel Guitar Rag" will include latest news, interesting facts, upcoming events, and interviews by some of the top people in the music industry.